No weight loss story is the same, and each one has its own set of obstacles. To Merin Graves, starting a fitness regimen in her mid-30’s was a form of an “ongoing redemption” of her childhood PE experience where she was “definitely the least athletic kid in class, who would get stuck at the top of the climbing and have to be rescued by the coach.” After becoming an avid CrossFitter in 2014, Merin began a new journey when she left CrossFit in 2016 to focus on conquering her battle with infertility. That battle came with unwanted weight and health complications and was the tip of the iceberg for the reasons behind wanting to lose weight. Merin realized the weight she had slowly gained in that time had been difficult to notice during the busy days of working in health care and raising a family. Then, a miracle happened when Merin became pregnant with her third child in 2017 at age 38. Now that she was finally pregnant again, Merin discovered her weight would be an important component in what would be a challenging pregnancy. She kept her pregnancy weight on target by maintaining a carb-counting diabetic diet and regularly checking her blood sugar. Merin and her husband welcomed a beautiful baby girl – a month earlier than expected – in February of 2018. After surviving a difficult pregnancy, Merin knew then that she was ready to take back control of her weight and her overall health. Merin and her husband had been coached by Chris Wade since they started CrossFit in 2014 at a previous gym. 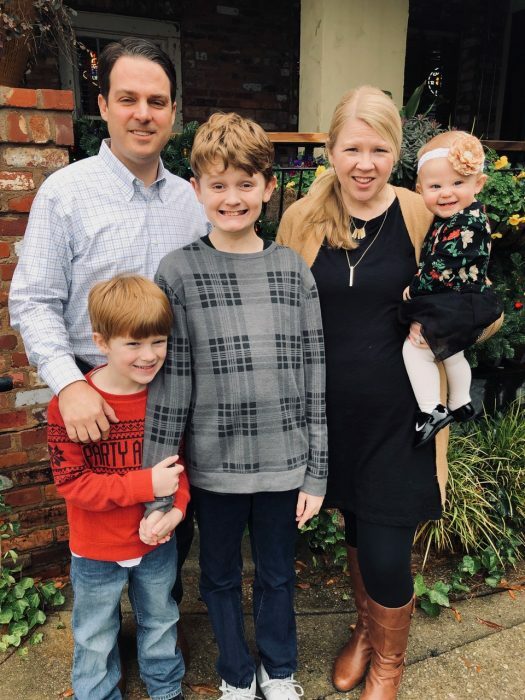 They had followed Chris in his path to opening Nexus in March 2018, six weeks after the birth of the Graves’ third child. Merin was cleared to exercise by her OB/GYN and joined Nexus Fitness in April. But after everything she had been through, returning to the gym was not easy. Merin attended Xcel classes three times a week and was encouraged by the coaching she received from Jessica Benson, Brandon Etheredge and Chris. In each of the four stations in Xcel, there was slow progress – being able to increase Torpedo weights, perform certain movements on the TRX, row “without dying” and finally being able to run on the TrueForm. Merin used the MyZone heart monitor in every workout. She remembers struggling, frequently finding herself in the red zone. With time, and as she lost weight, her heart rate would decrease and return to lower/resting rates between stations. Merin also consistently met with a dietician and weighed herself monthly to adhere to a healthy diet. Since joining Nexus Fitness after the birth of her third child, Graves has lost over 55 pounds. 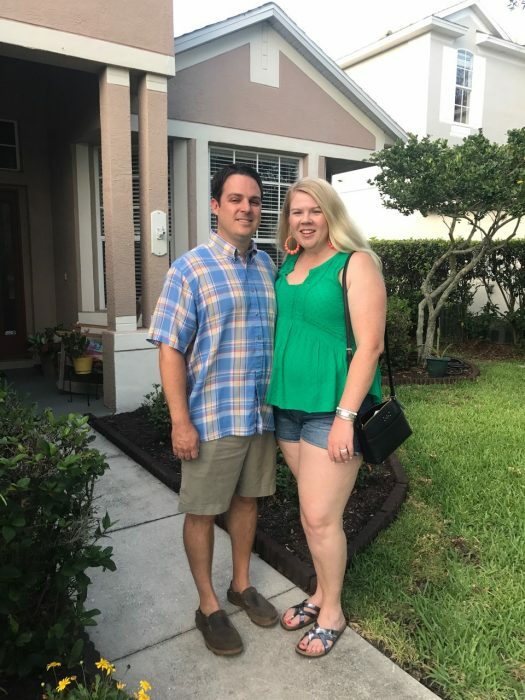 When it comes to her weight loss, there are many things Merin has to be proud of, including a new outlook on what it means to lose weight. But she is most excited about her recent return to CrossFit. As many can attest, losing weight does not come without its challenges, and Merin is no stranger to facing obstacles. She shares the most difficult parts of her journey and how she was able to overcome them by both pushing herself and being realistic. Merin credits a significant part of her weight loss to Nexus Fitness, particularly the specialized workouts our coaches provide every class. According to her, all she needed to focus on was showing up and putting in the work. In addition to telling her story, we asked Graves what advice she would give to others who are trying to lose weight. Graves can attest that weight loss is not a one-size-fits-all and does not happen overnight. Most of all, there is plenty to learn along the way. Merin’s weight loss journey is not over. She says she still has some weight left to lose, but is not driven by a particular weight goal. 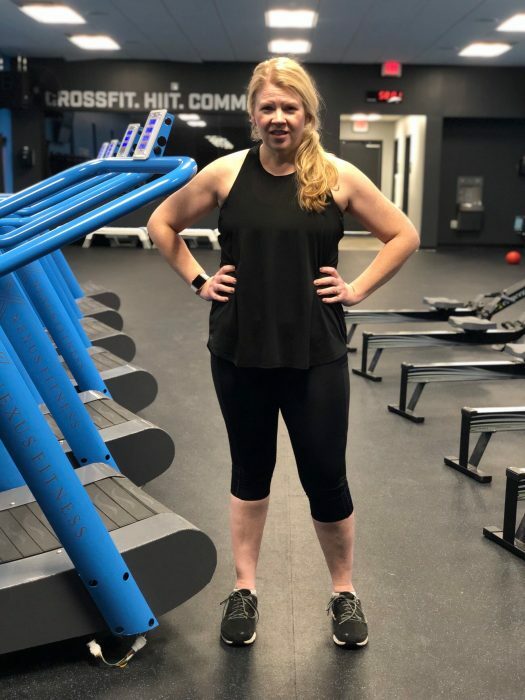 According to her, she has learned to leave room for a “goal weight range.” What started with the motivation to change after systemic health issues during pregnancy has turned into a story that has impacted the lives of others, especially in our Nexus Fitness community. “There is power in being transparent and sharing our stories because none of us are alone in our struggles or victories in the gym. Sometimes a voice of isolation will whisper, “Hey, you’re the only one who…fill in the blank with what you think you lack or can’t do.’ It’s just not true. Finding common ground and a connection with other people at the gym is important because sometimes hearing that ‘me too!’ can make all the difference. It’s good to have that person you can look at and make a stupid face at on the last round of over-the-box burpees to acknowledge that, yes, you are both suffering, but it is almost over and it is worth it! You can find Merin Graves on both the Xcel and CrossFit side of the gym at Nexus Fitness. Stay up to date with our blog to hear more incredible stories like hers from the amazing people who walk through our doors every day.